Over 220 people registered for the 3rd World COnference on CDG. 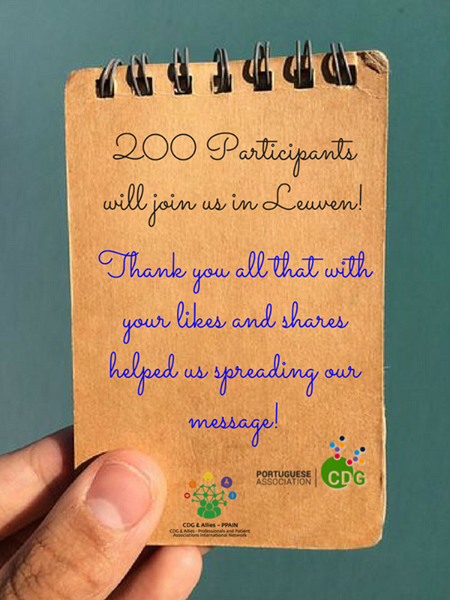 Thank you for joining us and for spreading the CDG word! Then go HERE. 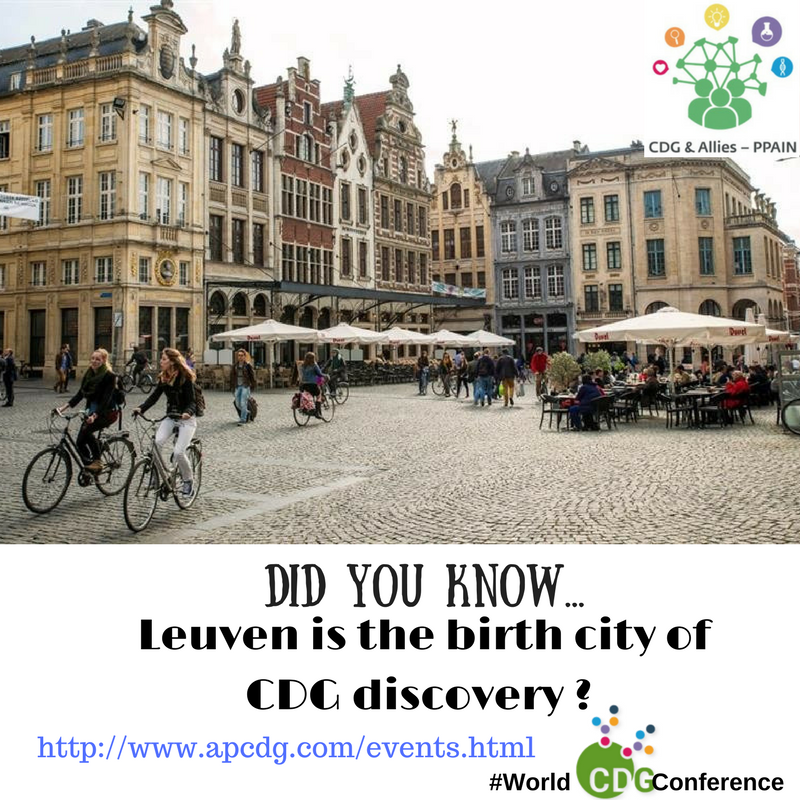 After pre-registration in the next 1-2 weeks you will will be sent an email from the organizing committee (worldconferencecdg2017@gmail.com ​), with the final requirements to validate your registration. You MUST answer this email in order to have a VALID and FULL registration. 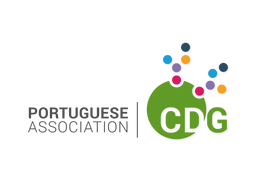 This conference is being organized in collaboration with the European Reference Network for Rare Metabolic Diseases - MetabERN(know more HERE)? Who will be there? Families, key researchers, physicians, educationalists and other practitioners. The Pre-Registration form is available HERE. Eventbrite (more information HERE) is an event platform, which has a very simple, quick and easy registration system for events. For those reasons and for your convinience, the Organizing Committe chose Eventbrite to be the PRE-REGISTRATION platform of the 3rd World Conference on CDG. All the steps you need to take in order to PRE-REGISTER successfully are explained in detail in the Tutorial below. So, please, before proceeding to the PRE-REGISTRATION read this document! HOWEVER, to obtain a full and valid registration you MUST respond to the confirmation email, which will be sent to you from the organizing committee, with the final requirements to validate your registration. The registration fee is a donation that will support the overall conference, the organization, logistics for the event, as well as the social program targeted for children and adults and so forth. In addition, the Registration fee includes Conference participation, information material and networking sessions. REGISTRATIONS that do not respond to the email will be considered INVALID and will be CANCELLED. * Note: Please notice that only emails from worldconferencecdg2017@gmail.com or sindromecdg@gmail.com are valid, any other email contact should be dismissed. Also, you will receive an email from us 1-2 weeks after you complete you pre-registration. Accommodation and meals will be booked by the participants directly with the hotels. Information on how to establish contact will be sent to you VIA EMAIL after you complete your PRE-REGISTRATION. Make your travel arrangements early: Flights and hotel rooms will be in demand during the dates of the World Conference. Prepare to network: read the program carefully and select the relevant key stakeholders with whom you wish to interact. You will have the opportunity to meet well-known individuals who will be accessible during the conference. Breaks and meals will also be suitable times to meet and network with people that you do not normally get to see. Take notes: it helps you to focus when listening; it will be a record for later reference and helps to promote information retention. Do not be shy – Ask questions: we encourage you to ask questions at the sessions you attend. Asking good questions is an important skill that can be developed. To become a more active meeting participant, we suggest you to try to have at least three good questions, and write these questions in your notebook-whether or not you intend to ask them. Please, work up to asking your question(s) preferentially in public or after the session. Questions will also promote discussions, which may result in greater advancements or in more clarification.